Professionals From the Ground Up! Check back often for lawn fertilization tips, lawn FAQs, discounts, and important seasonal reminders! Check Out Our New Local Pages! While we're all one big Greenblade One family, sometimes you may want to see site updates and specials specifically for the area in which you live. 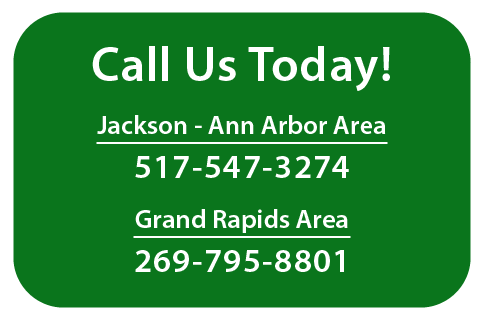 We created three pages for our largest markets and surrounding areas - Grand Rapids, Jackson/Addison, and Ann Arbor. On each page, you'll find a map of our service area, services provided, local specials and discounts, local lawn care news, and more. Be sure to bookmark your page and check back often for updates specific to your area! Yes, you read that right. We're going to talk about spring snow mold in the fall. That's because the snow mold that you see on your lawn in the spring actually starts in the fall. With a bit of preparation, you can prevent it altogether. Find lawn care services, coverage maps, and more for your local area.